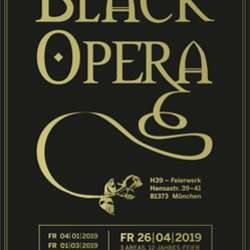 You must be a member of the Munich Dark Music Group to attend this activity. Would you like to join this group? This event is perfectly suitable for all lovers of dark style music (Wave, Gothic, Electro, EBM) like e.g. Depeche Mode, Unheilig, The Cure, DAF, Nightwish, In Extremo, VNV Nation, Covenant, Diary of Dreams, Combichrist etc. Pls. observe to dress scene like or at least all in black.